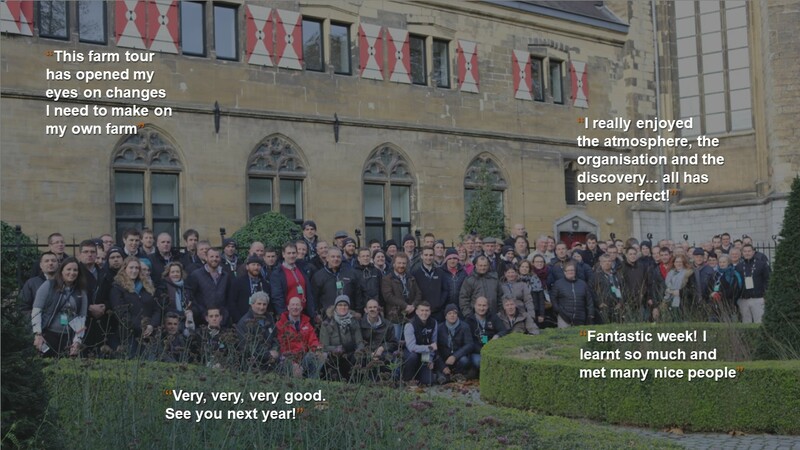 Join a group of 130 farmers from around Europe on a dairy farm tour, traveling to four countries in five days! 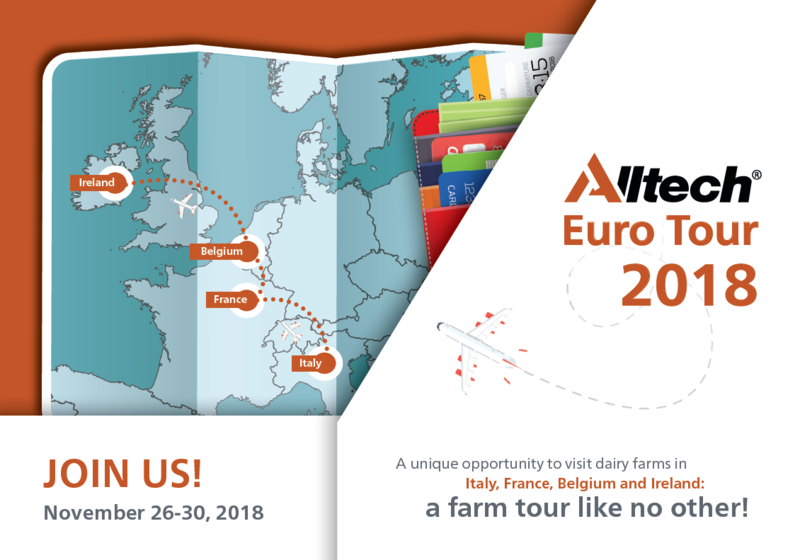 The tour provides a unique opportunity to step onto dairy farms in Italy, France, Belgium and Ireland. You will have a chance to meet the host farmers, learn about the systems they have in place and hear first-hand about their own experiences. Taking a step away from your own farm for few days to see what approaches and new innovations are driving performance on other farms, can be a hugely valuable experience. The tour provides an opportunity to meet other like-minded farmers to discuss, learn and share ideas about the opportunities and challenges facing modern dairy production. Throughout the journey you will have a chance to unwind and enjoy a host of social, cultural and sightseeing delights along the way! PM: Evening meal at Hôtel Le Château Fort, a unique medieval fortress in Sedan. Farm in Italy: Located in Modena, in the heart of the famous Parmiggiano-Reggiano area. This farm is currently milking 1,100 dairy Montbeliarde X Red Sweden cows with an average milk production of 9,500 per cow per lactation. The farm is also using the latest technologies for herd improved performance such as a photoperiod system for improved pregnancy rates, and an indoor ventilation system based on the temperature humidity index (THI) measurement to ensure maximum cow comfort during hot periods which are common in this region. Farm in France: Located in the Brie De Meaux area in eastern France, this very impressive dairy farm has expanded significantly in the last 10 years and during that time has tripled milk production. The farm is currently milking 230 dairy cows, with an average milk yield of 10,000L/cow/lactation and a production capability of 2.3 million litres of milk per annum. Set on 485ha, cropping consists of 230ha of market crops such as wheat, barley and rapeseed, 100ha of maize, 50ha of alfalfa and the remainder is grass. Specific regulations apply to farming in the Brie De Meaux area, urea is not allowed in the diet, use of local fodder beet is advised, animals must have at least 4kg of dry matter (DM) in their diet and 85% of the diet must consist of local feed. Equally, there a number of rules surrounding the quality of milk and it’s microbiological quality which requires detailed herd management. 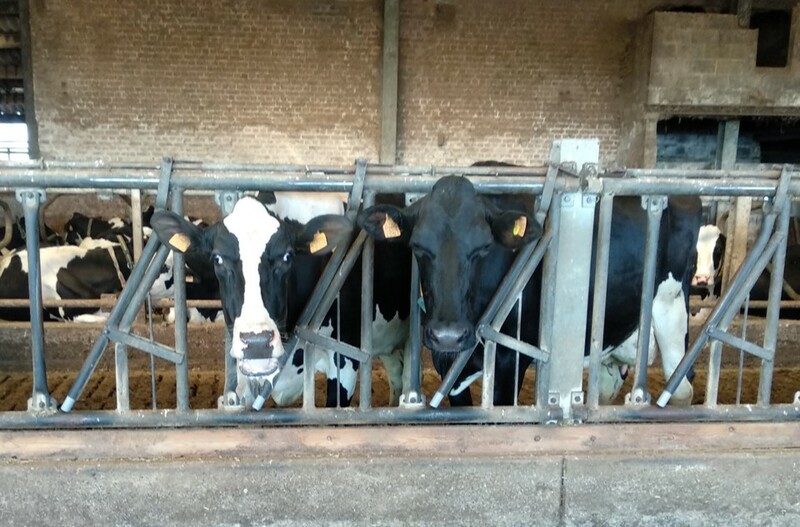 Farm in Belgium: Located in Franchimont, Belgium this farm is currently milking 145 Dairy cows with an average milk production of 11,680L/cow/lactation. For a farm with such high yield, the calving interval of 378 days is particularly impressive. One of the key strengths of the farm is it’s herd genetics along with a strong focus on producing quality forages. Grass silage typically has a UFL value of +0.9UF and 20% crude protein (CP). Farm in Belgium:Located in Mohiville, Belgium, this farm is milking 330 dairy cows with an average production level of 9,600 litres per cow per lactation. Total area farmed is 150ha, of which 80ha is owned land, with the remainder rented. Cropping consists of 95ha of maize, 5ha of fodder beet and the rest is grassland, with 5 cuts of silage taken each year from an English ryegrass sward. The farm has four employees ,and cows are milked three times a day. The current milking parlour is relatively small for this size of herd, but plans are in place to increase capacity. Heifers are reared on contract off farm, this has allowed the farm to focus on milk production, while the specialist heifer rearing contractor ensures that they are hitting the correct age and weight targets at first calving. 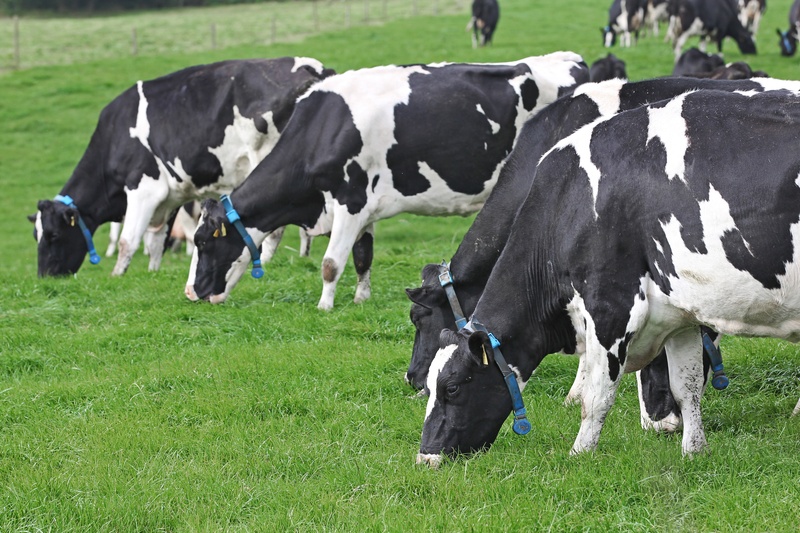 Farm in Ireland: Located in Co. Meath, this farm is split into three and all together is milking 890 Holstein Friesian crossbred cows. Milk production is averaging almost 7,000 litres and milk solids are at 530kg per cow per lactation, with 3.63% protein and 4.1% fat. The herd is based on seasonal calving with 70% calving in Spring time and 30% in Autumn. This is to supply milk all year round, while 90% of Irish farms would only calve in spring to maximize grass resources. They are farming over 600ha of land and the aim is to grow 16t of grass and utilise 14t. The farm has seen significant expansion in recent years with additional land being leased and new sheds being constructed. *This rate include flights, meals, hotels and transport while on the tour, based on sharing a twin room. Additional flights and transport to Bologna, Italy and home from Dublin, Ireland are not included however, the Alltech team can help to arrange bookings.